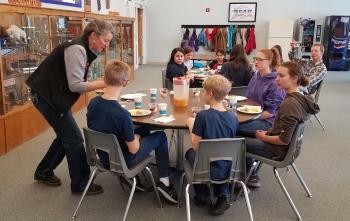 Today, students in grades 4-8 learned about Basic Nutrition and the five food groups. They learned about resources they can access and completed an informal table setting activity. 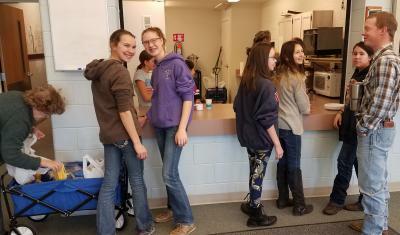 They also learned to properly wash dishes by hand. After preparing their meal, they all sat down to the table. The conversation at the table was kept light and fun.